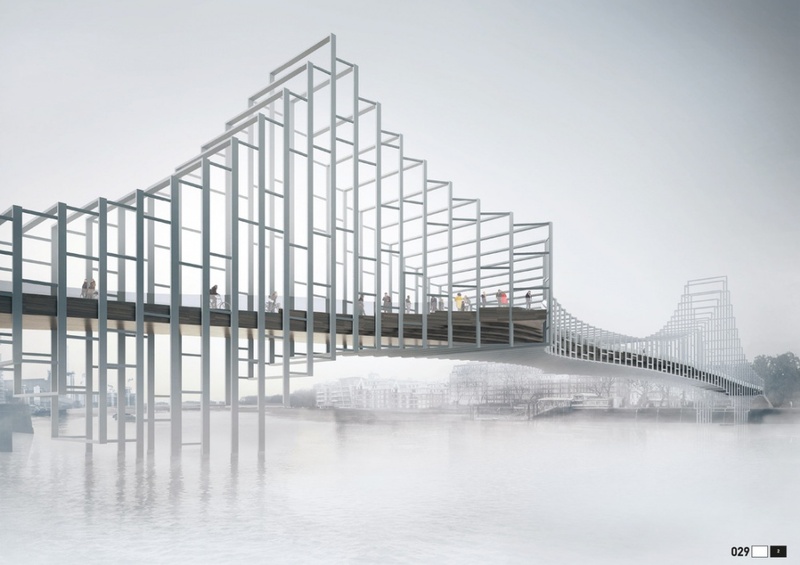 Potential designs for a central London pedestrian bridge across the Thames have been revealed, created by more than 80 design teams across the world. 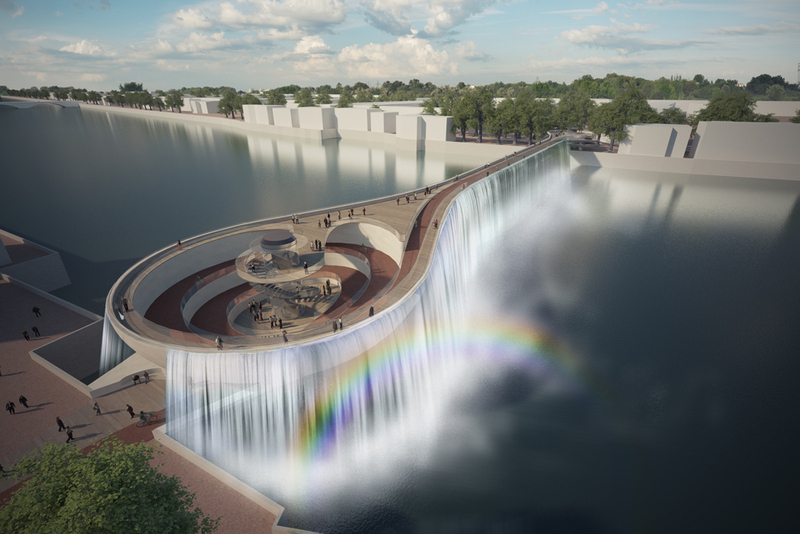 The designs are in response to a competition to create a new bridge to connect Battersea Power Station and the Nine Elms district on the south bank of the Thames with Pimlico on the north. 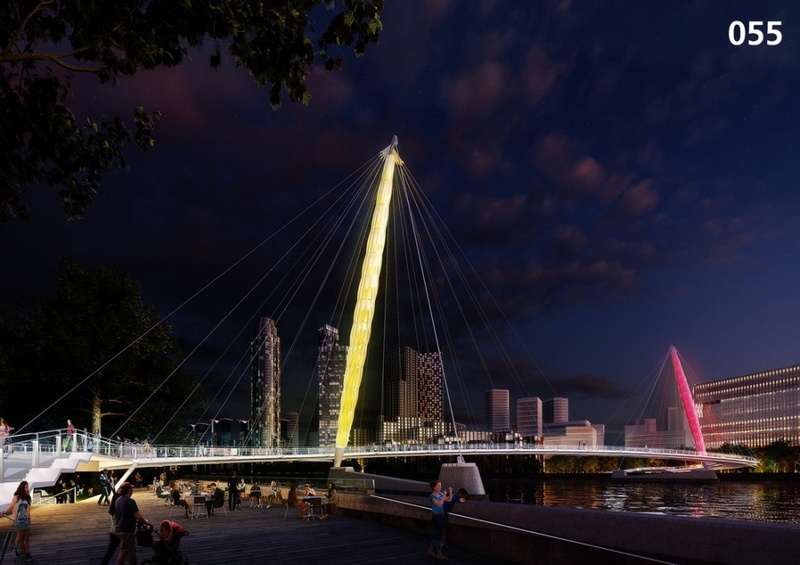 The Nine Elms to Pimlico bridge is planned by Wandsworth Council as a pedestrian and cycling bridge and is part of the £1 billion to transform the Nine Elms “regeneration area”. 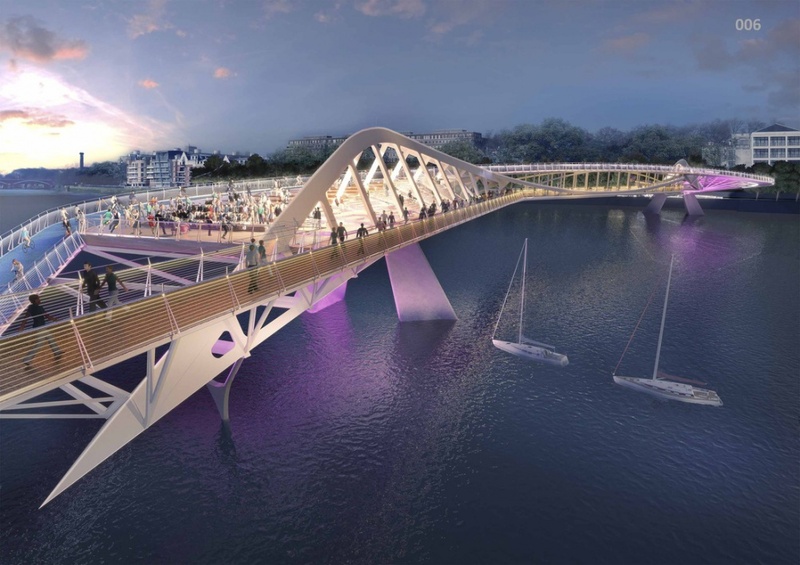 So far £26 million has been earmarked for the bridge, and Wandsworth says it is seeking further funding. 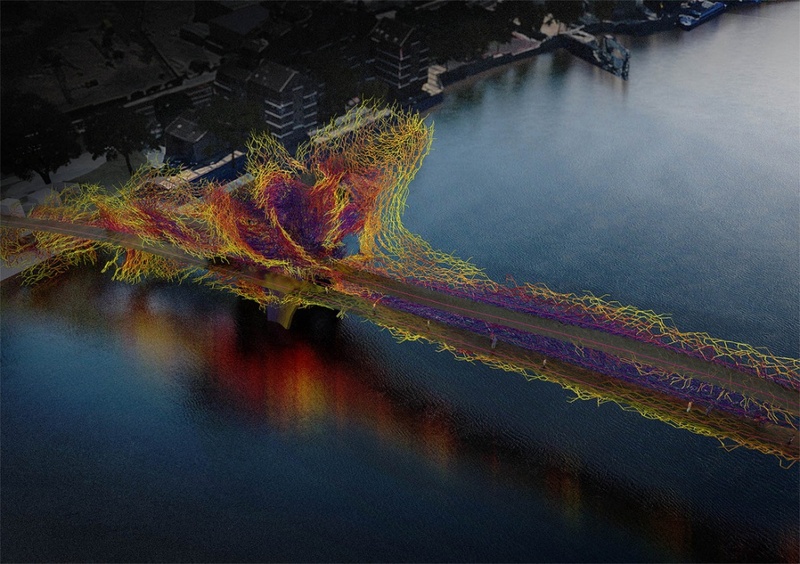 Following an international competition, more than 80 design teams from around the world. 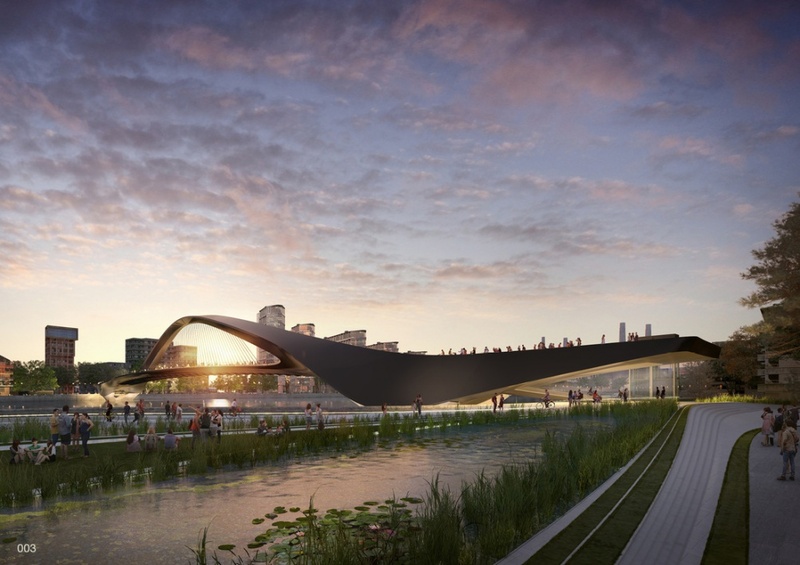 Under EU regulations, the entrants must remain anonymous at present, but competitions organisers say they come from 16 countries around the world and include world-renowned architects and engineers, as well as up-and-coming studios. 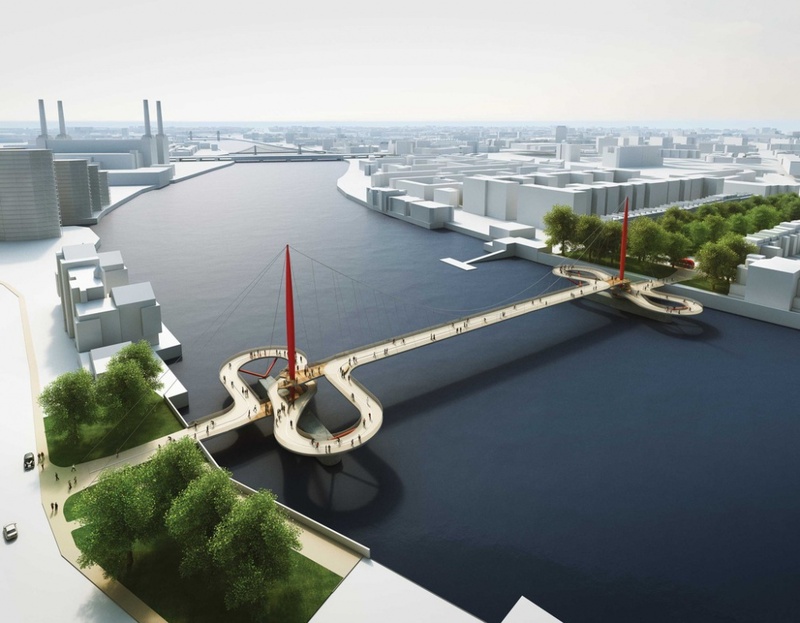 Wandsworth Council leader Ravi Govindia says: “A bridge specifically designed to carry high volumes of both cyclists and pedestrians will be a first for central London and poses a complex set of architectural, engineering and transport challenges. 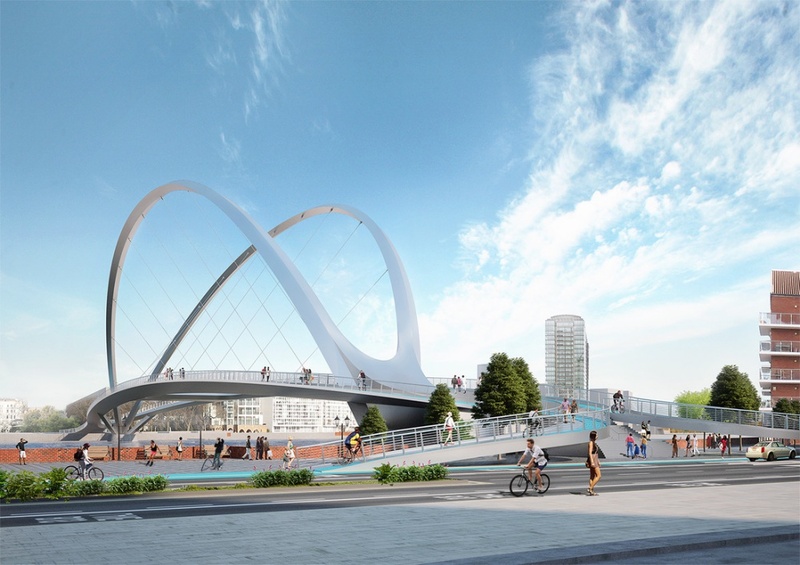 The bridge designs will now go on public display before a shortlisting process. 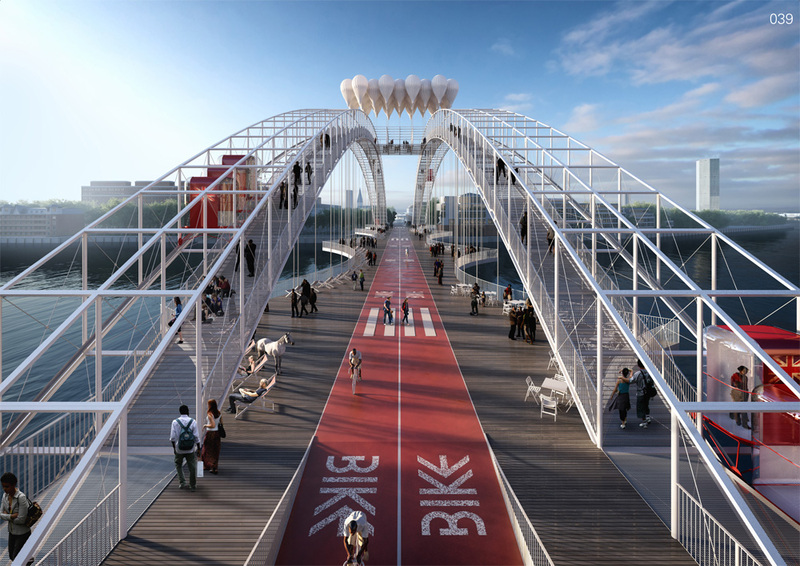 Once the winning design is selected, it would need to go through the planning process before work could begin. Here is a selection of some of the more eye-catching designs entered into the competition – you can see the full entrant list here.